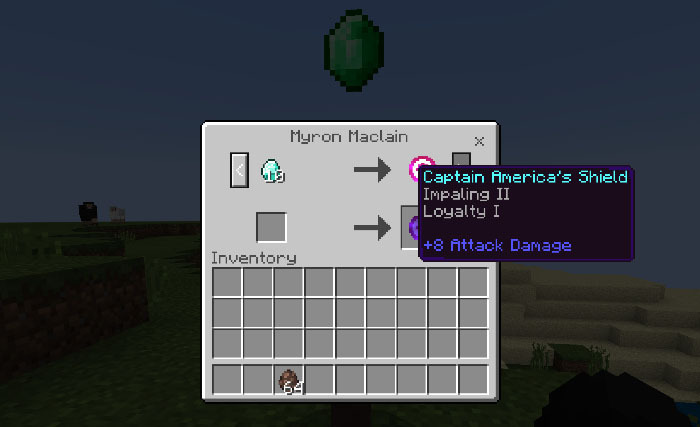 This add-on replaces the Trident with Captain America’s shield. The shield is a fictional item in the Marvel universe. It’s used by Captain America both for defensive and offensive purposes and he’s seldom seen without it. 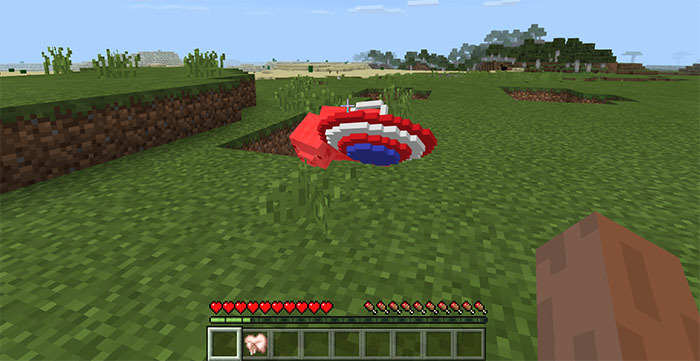 Just by holding this item in Minecraft you’ll basically turn into Captain America yourself as you’ll get more agile and stronger. How to obtain the shield? Trade with Myron Maclain to obtain the shield (or get it via the creative inventory). You can also get it by killing Drowned Zombies. By holding the item you will automatically get a few different status effects: Speed Leap and Resistance. It’s recommended to enchant it with Loyalty to make it come back to you after it has been thrown. You cannot redistribute or re-publish this addon or any of my creations to any site / place without me being credited, without asking any permission to me, and without the original source where you got this addon ( mcpedl.com ). You can get a .ZIP file for this addon here.